The age of smart phones has made travelling a little convenient. Continuous access to internet is kind of annoying with constant notification but works like magic if you wish to learn more about a place in general. From web browsers to news alert, travelling has become a lot easy with internet powered mobile phones. Visitors who come to India from abroad use smart phones as a helping hand to ensure safe travels. Sites like wikitravel can easily help you figure out the best places to travel in India and important places of sightseeing in every city you visit. With the help of Google Maps, you can find out if a certain famous monument in India is accessible or not. There are a lot of modern phone apps that make travel experiences easy. You can easily book cheap hotels in India or get access to local backpackers hostels in Varanasi, Mumbai and Delhi. Here are a few apps that should be in your phone the moment you land in India. I am skipping the obvious ones like Google Maps, currency converter and translator apps as they mostly depend on a traveller’s preference. Ola/Uber – Ola and Uber are two of the most popular car hiring services in India. While they are present in major cities of India including Delhi, Mumbai, Bangalore, Hyderabad and Pune, the smaller tier 2 cities only have Ola. You can choose from various plans like Share, Micro, Luxury and others. Two of the cheapest services from Ola and Uber are Old Bikes and Ola Cabs. Blablacars – This is a carpooling app that has saved my life and time a lot of times. You can check out the car drivers travelling on a given route and looking for passengers. You can hitch a ride with them for a price. Be a little safe and check driver ratings on the app before planning your trip. Hostelworld – Hostelworld is an amazing app and backpackers around the world will swear by it. Book a hostel in advance for a very small price and then pay rest of the amount when you reach the property. It is the best app for budget backpackers. Whatsapp or Nygmo (Cheap International Calls) – I think these apps are used worldwide but Whatsapp in particular is lot more helpful for free calling and texting. IRCTC Connect – The best app to stay updated with IRCTC bookings, train tracking, time table, PNR enquiry and seat availability on India trains and is very easy and convenient to use. Couchsurfing – While couchsufing is not that popular in India, you can find nice hosts in cities like Mumbai, Hyderbad and Bangalore. 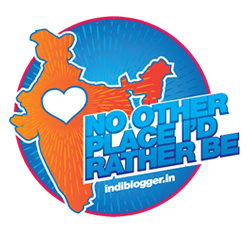 Mcleodganj, Pune, Hampi and Goa have some of the best couchsurfing hosts. Audio Compass – This voice guide system can save you from paying hefty sum to guides at Indian monuments. This app has detailed routemap of all the famous monuments in India under the supervision of Archaeological Survey of India. Justdial – A very helpful app in learning more about local businesses, hotels, restaurants and other services, it is as versatile as it can get. Guides by Lonely Planet – Lonely Planet app is one of the best travel apps for any traveller visiting any part of the world. It helped me a lot during my Thailand trip and its India section is really good. On a plus side, I haven’t seen an app as visually stunning as this one. Travelkhana – To be honest, train food is not to be trusted. Travelkhana app connects you with local restaurants at every important station from where you can order your food and pay once it arrives. You can also use IRCTC eCatering app as an alternative. What’s Hot – Now that you have come to India, you surely are not gonna bore yourself to death during your free time. What’s hot is a city based app and you can find the best activities, movies, adventure camps and plays in Delhi, Kolkata, Mumbai, Pune, Bangalore, etc. Eventshigh – Just like What’s Hot, Eventshigh lists local experiences happening around your city. With Eventshigh you can book outdoor activities and more tourist friendly experiences. M-Indicator – This app was suggested by multiple Instagrammers. While I haven’t used it, it seems that people of Mumbai have found it really useful. On first look, the app is helpful in listing down public transport details along with local train timings, BEST bus numbers and routes to access a particular area. Travelling becomes easy with this app. Meter Down – A helpful app that will save you from auto rikshaw fare, Meter Down is an honest fare calculator app that calculates auto fare on the go. Currently this app is available only on iPhone. Delhi Metro Rail, by Delhi Metro Rail Corporation – As the name suggests, this app will provide you all the information about metro timings, routes and status of a train. Tour De Delhi – Want to travel in Delhi without getting lost? This app will help you find the best places, guided information along with location details from Google Maps. My Sefetipin – My Sefetipin is a women safety app that lets you venture into an area based on its safety score. Available in Hindi, English and Spanish, My safetipin is usable for other cities in India too. But since Delhi’s reputation has gone downhill in the recent times, it proves really useful here. This would be really helpful for foreign tourists. And since I live in Mumbai, I confirm that the m-indicator is the best app to know about the bus and train timings. Besides, it can also guide you to tour around Mumbai, find you good retaurants and also have contact nos of nearby police stations, hospitals, rails, etc. I will try this app on my next visit. I am sooo confused about local train timings everytime I am there. Thanks for dropping by. I’ve never been to India but I am from Bangladesh so the conditions are similar in certain places. WhatsApp is one of those things that nearly every single person has lol it’s a must! This is very helpful, in particular the city-specific apps! Travelkhana sounds like a great idea too – not come across and app like that before. Will be sure to use these when we travel to India! The Audio Compass app would be definetely my first choice, never heard about it so thanks for letting me discover it. Super helpful list of apps! I’ve never heard of any of these apps. They all sound like they could make traveling India a lot easier! Wow! Really useful! Thank you for taking the time to share them. We were worried about getting lost and being very confused in this country hehe. I am going to share this with my partner right away! You have done a pretty good job in compiling this list. These apps will be really helpful for anyone who want to explore India efficiently. I’m going to try Meter Down by myself! These are great apps. I already have some of them, but I definitely will download Audio Compass for my India trip. It’s one thing to visit a place, and it’s another to learn about it. Thanks for these recommendations. Great to have such a list of apps, specific to India. Extra bonus apps for Mumbai and Delhi is awesome! I’ve never been to India, but several of these are good for travel all over the world! But it’s also good to know that there are ones made specifically for India! Always great to keep up with the latest trends. People use mobile apps to search and book flights and accommodation as well as to stay updated on trip statuses via a notification system. Travel apps also have some considerable advantages over websites.Thanks for the tips. Well, yea. Actually, it is a good idea to write about apps related to a country. Some international apps may not work or have some better local analogies. What a great list of apps. It’s always great to have local ones like Audio Compass. It would have been so much cheaper than paying the guides the extra money to get into a monuments. I have made a note of this for my next visit. Thanks so much! I love What’s up, no matter where I am traveling. Makes life so much easier. This is a really helpful guide! It’s always handing knowing the best apps to use, especially for car sharing since not everywhere uses Uber. considering visiting India during our Asia trip. A very helpful article which makes our travel so much easier. Thank you! This is a really good guide. I couldn’t help but tweet it. Thanks for sharing wonderful travel apps in useful for traveling in India. I have used many of them but Audio Compass looks interesting and I want to use it as it is great to have audio guide with us. Great idea for the post and super useful information! Next time I’m there I’m going to download them!